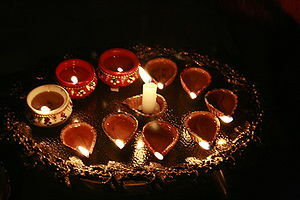 In 26 days from today, we usher in Diwali 2013. Usually it is analysts who get asked the question on the outlook. Instead, I would ask you the reader to answer this, in terms of a poll. I am trying to sense the mood, and this will be a useful exercise for us all. To recap, right now, the indices are at – Sensex – 19,998 and Nifty 5,931. The 5.5 year old Jan 2008 all time highs were – Sensex 21,200 (6% away) and Nifty 6,357 (7% away). For more details, see the MC links of Sensex and Nifty. Please answer with only one option, including ‘Other’. Feel free to add your comments to this Page. You can see the results of the Poll so far right away. I am positive on the outlook for 2013 despite the turmoil in the political front. India has the following advantages. 1) A large number of its population is young – less than 30.
from the index currently at the stock markets. 4) A lot of start ups are also happening in India,currently.